Montreal, May 3, 2012 — The Health Care Public Relations Association (HCPRA) is pleased to announce that the Public Relations and Communications team at the Montreal Children’s Hospital has been awarded a first place Hygeia Award in the Multimedia production category. The team’s Pediatric Nursing video submission, entered by Pamela Toman, Webmaster, was recognized for its originality, high quality images and sound, and its well-crafted message about the exciting career of a pediatric nurse. To view the video online, click here . The Hygeia Awards are presented annually to recognize excellence in health care communications and to honour outstanding pieces and accomplishments across Canada. The awards program encourages Canadian health care public relations professionals to strive to meet the highest standards in their communications work, regardless of size, resources or location of their place of employment. There are ten award categories. The Hygeia Awards were recently presented at HCPRA’s annual conference in Calgary. 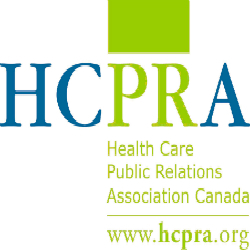 HCPRA is the only organization addressing the particular concerns of public relations professionals in Canadian health care, with over 350 members across the country. For more information, visit http://www.hcpra.org/ .